Are you looking forward to a summer in Scotland? Even if you live here or have visited before, there may be some hidden gems to discover. 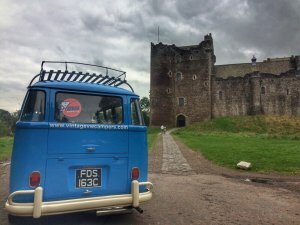 Visit Scotland have given us the staycation term and 2017 as The Year of History, Heritage and Archaeology, so get behind the wheel of a 1960s or 1970s VW Campervan and go exploring on a nostalgic roadtrip. If your bucket-list dream is to relax by a moonlit lochside or stunning beach, in one of our genuine Vintage VW Campers, then grab the opportunity to book while we still have 2017 campervan hire availability. Here we share some epic but lesser known attractions, festivals and events not mentioned in our itineraries or best places to visit in Scotland. Near Vintage VW Campers HQ visit Kinneil House in Bo’ness, which has Open Days on 25th June, 27th August, 16th September & 29th October. The grounds are good to visit on any day of the year and their museum is open year- round but getting to step foot inside the former home of the Dukes of Hamilton and see the renaissance wall paintings is a rare and amazingly free opportunity. For classic car lovers there’s a real treat on 2nd and 3rd September, when the Bo’ness Revival takes place at Kinneil Estate. The highlight of the weekend festival is the Bo’ness Hill Climb and 2017 marks the 70th anniversary of when the speed hill climb first took place, at Scotland’s first ever motor racing venue. You can rev up for Bo’ness Revival by visiting the Doune Hill Climb first on 17th & 18th June. While you’re in Doune, if you haven’t been to the castle a lot of the world have already seen on Monty Python & The Holy Grail and Outlander, as Castle Leoch, you may want to stop off there. Go to nearby Cardross Estate on 18th to 20th August for Doune the Rabbit Hole Festival, besides music there’s various arts and craft entertainment options for adults and kids. Camping with electric hook-up is available. VW fans shouldn’t miss Route 90 at Lathalmond Vintage Bus Museum on 21st to 23rd July. Close to Dunfermline and now in its third year, this VW Show keeps getting bigger and better. Camping is available and the vehicles and people you meet are guaranteed eclectic but all connected by VWs. Meanwhile, back at Jupiter Artland, children and adults alike will be entertained by the interactive nature of the many other installations. This beautiful parkland is open to the public from May to October every year. Travelling east to Tantallon Castle, built in the mid- 14th century but still impressive even as ruins today. Here you can climb to the towers and battlements and enjoy the views to Bass Rock. Take in the abundance of seabirds and the massive drop of the biggest remaining wall of this medieval castle, straight into the crashing waves below. Ok, it is listed in our itineraries but we should mention the next few months are the best time of year to visit nearby St Abb’s Head Nature Reserve, the noise from the seabirds nesting on the cliffs is phenomenal. Head south to Scott’s View near St Boswells in The Borders. This magnificent viewpoint inspired some of Sir Walter Scott’s literature and he spent so much time here the horses pulling his hearse to Dryburgh Abbey are said to have paused here from habit or to allow their master one last look at the stunning landscape. Spare the horses, as the campervan’s air-cooled engine takes you west to The Grey Mare’s Tail, one of Scotland’s highest waterfalls at 60m. Our recent rainfall has the advantage of making this more spectacular than ever! Around here you can spot birds of prey and enjoy some fine wild-camping spots. Not far from here at Drumlanrig Castle, Dumfries, you can enjoy bands like Peter Hook & The Light, Frightened Rabbit, Dizzee Rascal and The Jesus & Marychain at Electric Fields Music Festival on 1st and 2nd September. 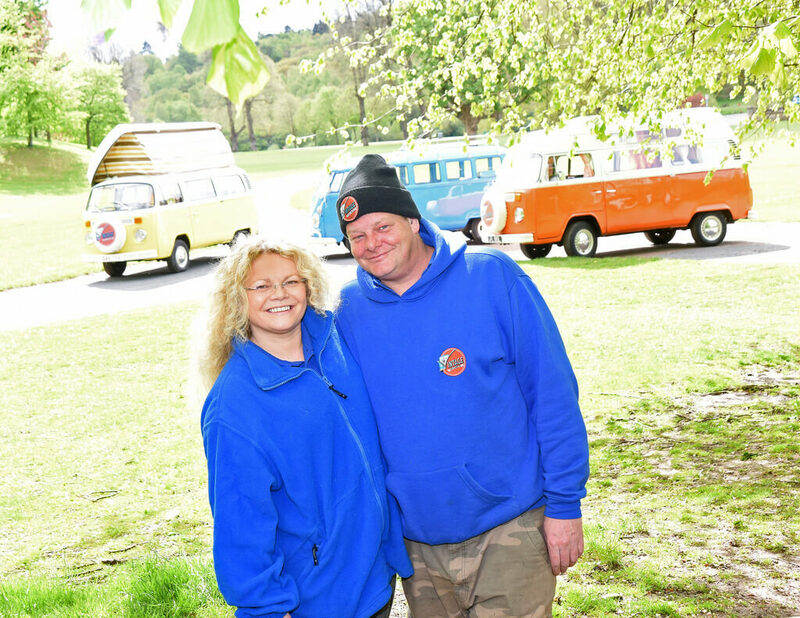 If you’re quick they still have limited campervan passes available. Head north-west to Kelburn Castle and Estate near Largs. Gaze in wonder at the modern graffiti on the ancient 13th century castle, camp in the grounds and enjoy some unique festivals. Looking for somewhere to take Dad on Fathers’ Day? It’s only a week away on 18th June and you can still treat him to our Fathers’ Day Campervan Gift Experience Offer. Or take him to Ginger Day at Kelburn Castle where you can enter suitable heads of hair into ‘The Ginger Prince’ and similar competitions. From the 30th June to 3rd July the Kelburn Garden Party is a boutique music and arts festival worth a visit in the Castle grounds. If you are interested in Scottish Wildcats, of which fewer than one hundred remain, then you should head for Newtonmore’s Wildcat Centre. You aren’t likely to spot one of Britain’s most endangered mammals in the wild but The Wildcat Experience is highly entertaining for children and adults too. This is possibly the best treasure hunt ever, as you have up to 131 model wildcats to spot hiding around the village. There’s a serious side to the information available at the Wildcat Centre, as they need donations to the conservation project aiming to prevent the extinction of Britain’s last large mammal predator. So, we hope it won’t be a busman’s holiday as you venture forth into a country you already love but wish to take a different perspective on. 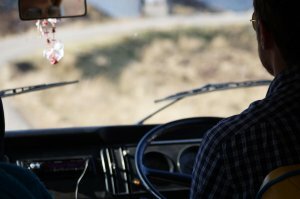 What better way than in a slow- moving campervan that allows you to marvel more at the place you are lucky enough to call home, even if it is just home while you park your vintage VW camper.